Opening a new front in its trade and technology disputes with China, the Trump administration on Monday took action to cut off a Chinese state-backed semiconductor maker from US exports of components, software and technology goods. The Commerce Department said it has put Fujian Jinhua Integrated Circuit Co Ltd on a list of entities that cannot purchase such products from US firms, citing a “significant risk” that the Chinese firm’s new memory chip capacity will threaten the viability of American suppliers of such chips for military systems. It said in a statement that Fujian Jinhua "poses a significant risk of becoming involved in activities that are contrary to the national interests of the United States." ZTE, which had violated a deal to settle violations of sanctions on Iran and North Korea, was allowed to resume purchases of US products after a revised settlement and payment of a $1 billion fine. The world’s top two economies are already waging a major tariff war over their trade disputes, with US duties in place on $250 billion worth of Chinese goods and Chinese duties on $110 billion of US goods. Fujian Jinhua, which is starting up a new $5.7 billion chip factory in Fujian province, is linked to the Trump administration's accusations that China has systematically stolen and forced the transfer of American technology. Fujian Jinhua and Taiwanese partner United Microelectronics Corp (UMC) were accused last December by US memory chip maker Micron Technology Inc of stealing Micron chip designs through poached employees, a case still underway in a California court. UMC countersued in a Chinese court, accusing Micron of infringing its patents, leading to a temporary ban in July on sales of Micron’s main products in China. 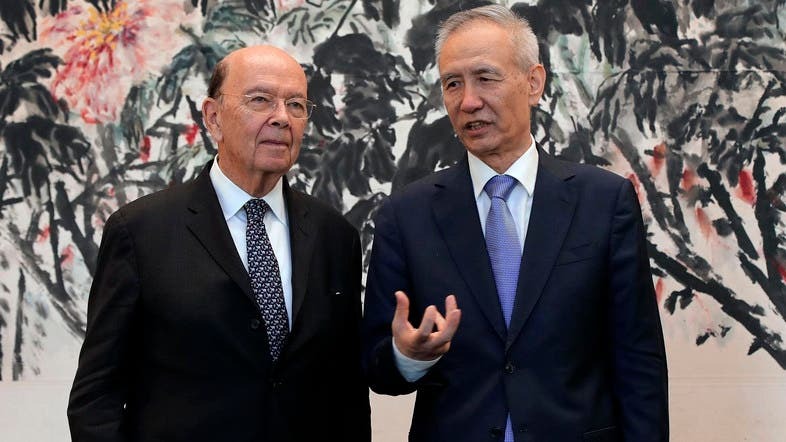 US Commerce Secretary Wilbur Ross said in a statement that the Chinese firm’s new plant likely was the beneficiary of “US-origin technology” and its additional production would threaten the long-term viability of US chipmakers.